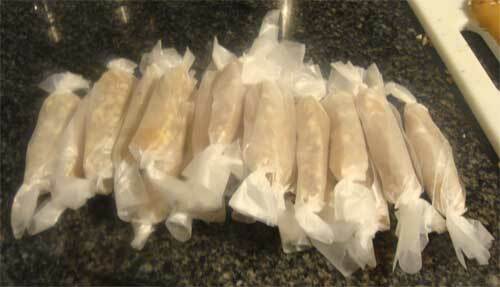 I Really Made Homemade Caramels! Home » Dessert » I Really Made Homemade Caramels! My fear of making a hot molten sugary disaster caused me to overprepare a bit, but after I did it the first time, by 4 batches later I was still using my same technique. 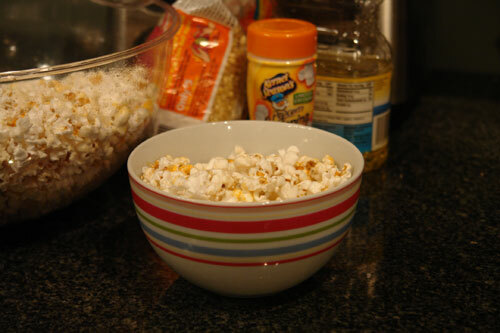 The first thing I did was gather all of my ingredients and measured them out, and placed them next to the pan. 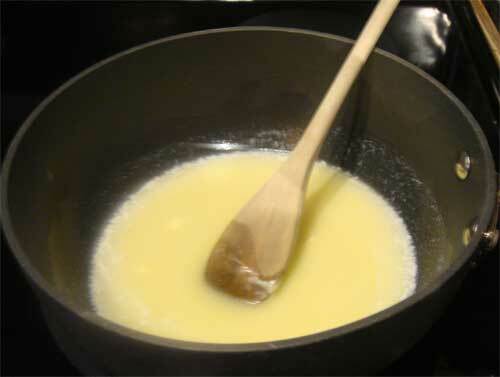 I melted the butter on low heat stirring the whole time. 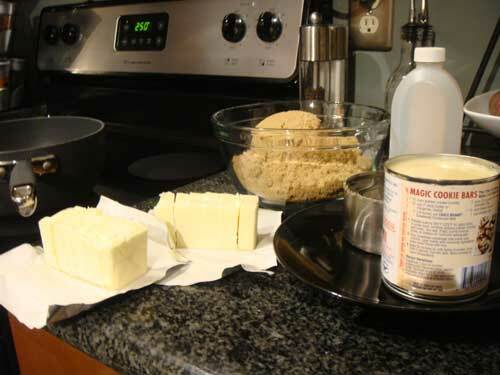 After the butter was melted I added the pre-measured brown sugar a few spoonfuls at a time in the center of the pan. While I was adding the sugar I turned the heat up to medium low. 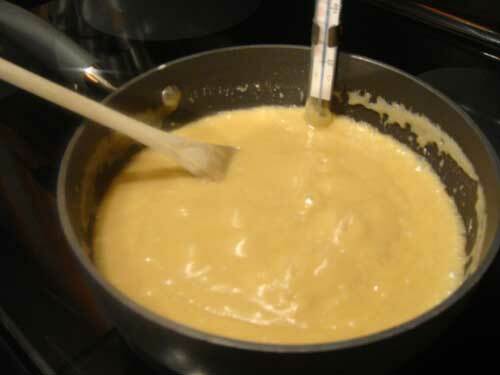 I added the sweetened condensed milk and the Karo syrup stirring constantly on medium low heat. I followed the directions on slowly turning up the heat. 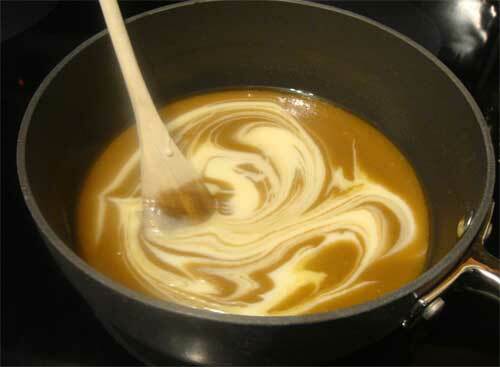 I stirred constantly and gradually raised the heat to medium high and got the caramel to a boil. I attached the thermometer and gradually turned the heat back down to medium keeping the caramel at a boil. Giverslog suggests that you check your thermometer in boiling water, that test had my thermometer showing a 10 degree difference, but the marks on the thermometer for soft ball and hard ball turned out to be about right (I live at a very high elevation, which I guess really messes all of that up). What I ended up doing was testing the homemade caramel regularly in a bowl of cold water because I was downright nervous about messing it up. 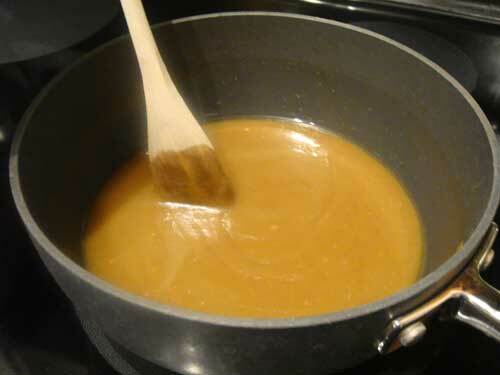 Once I got the caramel to a good consistency between the soft ball and hard ball stage I added the vanilla and poured it into a buttered dish (I didn’t have contact paper, so I opted for the buttered route, nothing got stuck so it worked great). 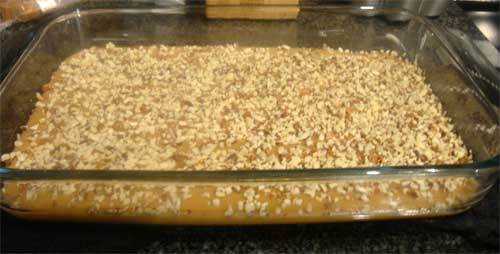 I covered the caramel in chopped almonds (for this batch I opted to have the almonds on the outside rather than mixed in, I also did a few batches with almonds mixed in). 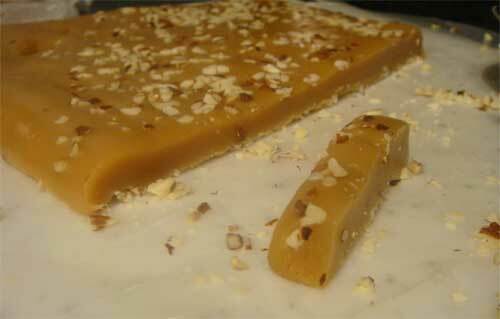 I let the caramel sit for a couple of hours and then pulled it out of the pan and placed on top of wax paper on a cutting board and let it sit covered with more wax paper overnight. I cut it with a pizza cutter and wrapped in wax paper. One Comment on "I Really Made Homemade Caramels!"